BT is in talks to acquire connected TV joint venture YouView, according to a report in the Telegraph newspaper. According to the Telegraph, BT’s talks with its YouView partners the BBC and TalkTalk have been delayed over differences in valuations of YouView, with BT initially looking to buy out the outfit’s other shareholders for £20 million. According to the paper, the parties are now discussion valuations in the range of £60 million. BT wants full control of YouView to take forward its TV ambitions, having become frustrated at the relatively slow pace of innovation in the face of new set-top platform launches by Sky in the shape of Sky Q and Virgin Media, which is upgrading its TiVo platform and launching a new box, the V6, that will be able to deliver 4K UHD TV services. The Telegraph says that the BBC has been the most reluctant of YouView’s six other partners to sell up. The outfit is jointly owned by BT, TalkTalk, the BBC, ITV, Channel 4, Channel 5 and Arqiva. According to the paper, the BBC is concerned that a sale could lead to criticism that it has subsidised BT’s efforts to develop a TV platform. Rival telco TalkTalk would be willing to sell provided it can still use the platform to deliver TV services to its own subscribers under licence, according to the report. “BT has invested heavily in its sports content, with this being where the current fight is being played out in the increasingly heated TV battle between Sky and BT. 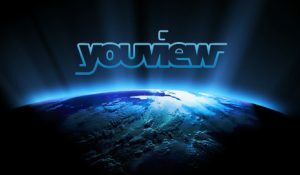 A BT-owned YouView – including on-demand channels – would be another string to its bow in the competition for UK customers,” said Ewan Taylor-Gibson, TV and broadband expert at uSwitch.com, commenting on the story.